Injuries to your hands can be incredibly infuriating and significantly slow down your progress. These 5 hand care tips will help you to prevent and repair shreds and tears. Your hands need regular attention if they are to maintain optimal condition for training and competing. Checking them once a day may seem like a lot, but it can take a matter of seconds to determine whether they need a small amount of care and attention to keep them healthy. Callouses form as a result of barbell work, pull ups, rope climbs etc, and are a very natural part of the training process. They are helpful, and are simply the result of your body adapting to the training, as well as being an important sign of you becoming more of a badass! However, they are not so helpful if they rip and slow down your progress. You want to look out for rough edges or sharp areas that look like they could easily get caught. They need to be snipped off or filed down. A natural pumice stone is a great way to do this and achieve a smooth rounded surface. This will then be less likely to catch and tear, so you can focus completely on the WOD at hand without having to worry. The best time to do this is after a bath or shower because your skin will be softer and a little swollen. Keeping your skin hydrated and supple will help to prevent rips and tears. A salve will moisturise callouses and the surrounding skin and is an effective way to achieve this. Created from natural ingredients such as olive oil, beeswax, peppermint and eucalyptus essential oils, the salve will also help shield hands from germs, bacteria and fungus. 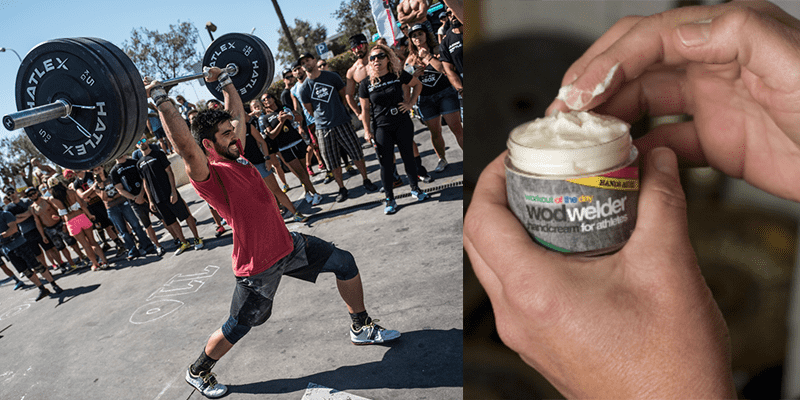 You can also use W.O.D.Welder Rx Cream daily to counter the drying effects of chalk and the general wear and tear that your hands will endure in the Box. Remember, prevention is always the best cure so a little effort to creme your hands once a day will go a long way to promote longevity. Your grip changes from exercise to exercise, but beyond hook grip, the actual techniques are often overlooked. 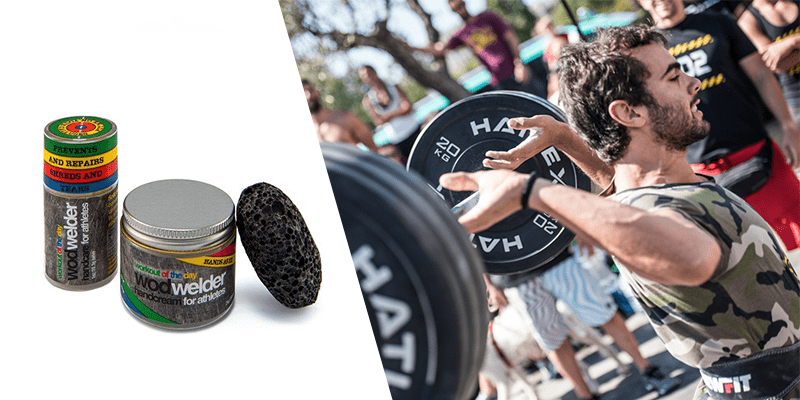 Do you spend much time thinking about the grip you use for each exercise in a WOD? The wrong type of grip (or a hold that is too loose or too tight) at the wrong time can tear the skin of your hands when you are least expecting it. To counter this, don’t hesitate to adjust your grip if you need to during a set. If a slight change at the top of a pull up will help your grip, then do it. A torn hand is a much worse consequence than the split second it takes to adjust your grip before you finish the last few reps on the bar. Holding on to the bar while performing high rep toes to bar can be extremely aggressive for the skin. Even if your hands don’t rip, blisters and burns can develop. Try gripping more with your fingers and hook your thumbs over the bar. This way, less skin will be squeezed between the bar and your fingers, and it will minimise any potential damage. During the full range of motion for this exercise, your hand positioning changes as your body moves up and over the top of the bar. As a result, you want your thumb above the bar, with the bar resting on your palm and not in your knuckles. In doing so your wrist will be bent forward a fair bit. This will help to make the transition technically easier, and more effective at avoiding tearing your hands. To activate the benefits of the false grip, it is unnecessary to go to that extreme, at least when working on an explosive muscle-up (the easiest variation). You really just want to be sure that your palm is on top of the bar (or close enough that it will naturally rise during the transition). With hook grip, you pin your thumb with your fingers to create a tight clamp that helps you to lift the weight. Don’t just squeeze your thumb between your fingers and the bar. Make sure to wrap your thumb around the bar then lock it in with your fingers. Protecting your thumbs can be a huge advantage for Hookgrip as well. Using tape that is too rigid or poor quality will only hinder your performances. During a WOD it can peel off, stick to the barbell and require you to constantly re-adjust it, which can affect your times. Hook grip can be taxing for your thumbs, especially as you grow accustomed to it. 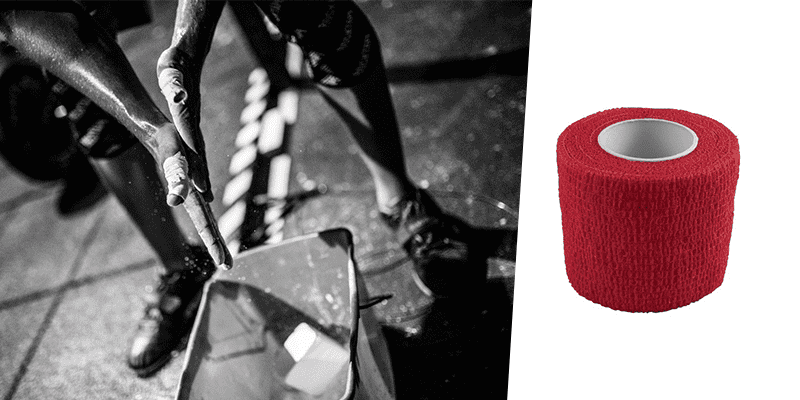 The extra support that the Self-Adherent tape offers is a great way to provide additional support throughout each lift. The increased friction from the material wrapped around your thumb can help to improve grip strength, especially when the weight starts to get heavy. 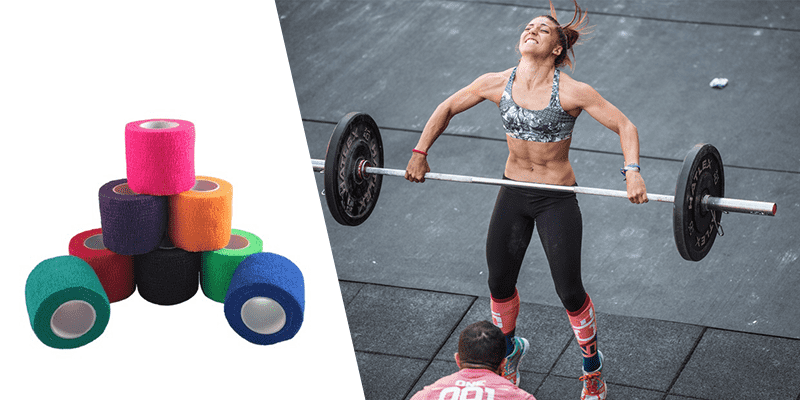 The Self-Adherent Tape helps to avoid tears and abrasions as a result of the close contact between barbell and skin, because it offers a strong protective layer. The tape is flexible around joints. You can wear the tape around your thumbs and fingers and still have full mobility for the hook grip, or around a pull up bar. This makes gripping any equipment much more comfortable and effective during the entire workout or weightlifting session. Additionally, the tape comes in a wide variety of colours so you can match it to your own individual style and look good whilst you smash PRs! All of these tips work best when you adopt a mindset of using prevention as the best form of cure. Using a combination of these methods will keep your hands healthy, supple, hydrated and optimised for performance. Well maintained calluses are much less likely to tear, and when you throw in the ability to think intelligently about the techniques you use to grip the barbell, bar, rope, handle, rock (or any other object) during a workout, then you will be able to excel and focus 100% on the workout in front of you, without worrying about ripping your hands.